Would you like to get more involved in the organizational part of ESN MENDELU and help us prepare great events for the international incoming students? If your answer was YES! 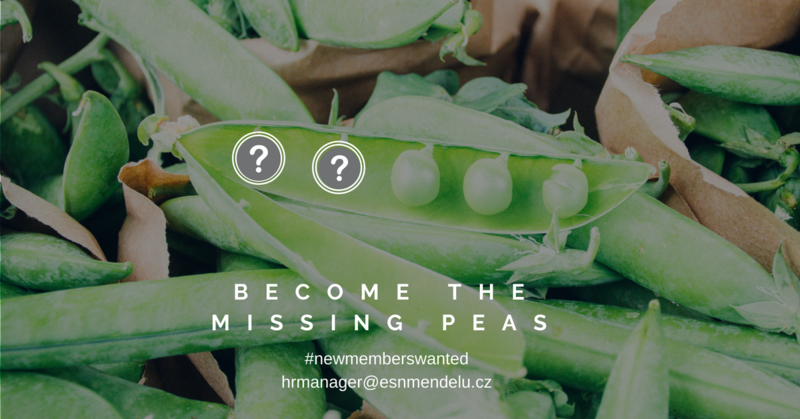 and you want to become an ESN MENDELU member, don't hesitate to contact our HR at hrmanager@esnmendelu.cz We don´t expect any CV´s and we don´t do any entry interviews, but if you could maybe include a short motivation why would you like to be our missing "peas", how could you help or how do you imagine our cooperation it would be very helpful for us. Hope to hear from many new to-be members.